We have extended the Call for papers for Issue 8 - the deadline is now 5 MAY 2019. Click here to read the full call on our website. Asia in Focus is a peer-reviwed journal published online twice a year by NIAS – Nordic Institute of Asian Studies. NIAS is a Nordic research and service institute focusing on Asia’s modern transformations. The focal point of the journal is the modern Asian societies viewed from the standpoints of social sciences and humanities. The geographical focus is the Asian countries from Central Asia to Oceania excluding Australia and New Zealand. 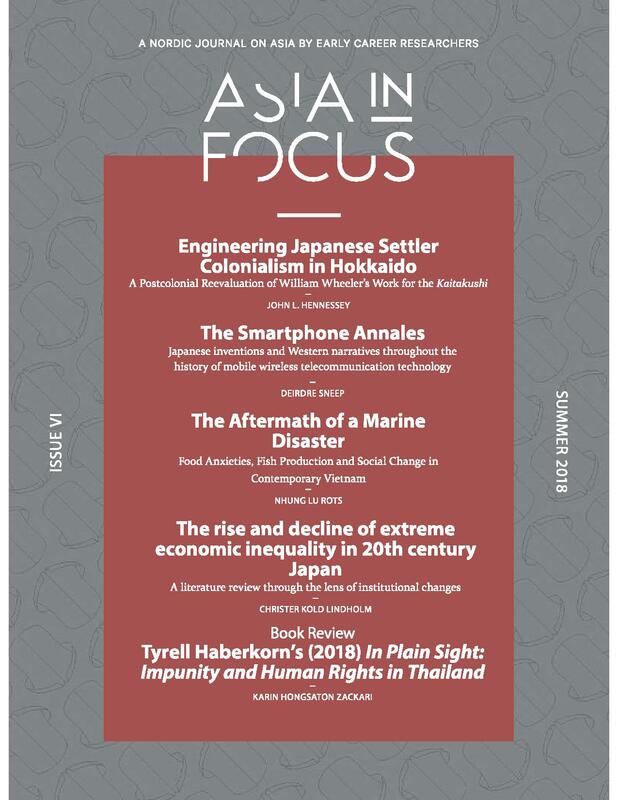 Asia in Focus was initiated by NIAS to provide Master and PhD students with a widely accessible and transnational forum to publish their findings. The journal accepts submissions (academic articles, academic essays, book reviews) to students from all European institutions of higher education.